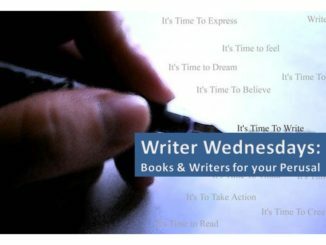 Welcome to our Writers Wednesday Spotlight! Each week we will be highlighting a different geeky writer we think you might like to check out. For this week’s spotlight, we are excited to introduce you to Natania Barron! 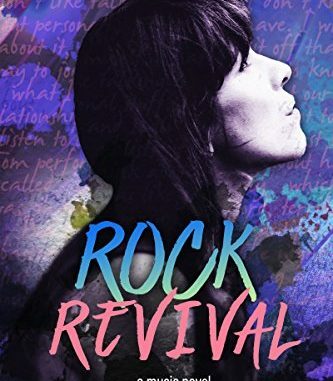 Her book “Rock Revival” was released on July 12, 2018 from Falstaff Books! You can purchase “Rock Revival” here. Natania Barron is a word tinkerer with a lifelong love of the fantastic. She has a penchant for the speculative, and has written tales of invisible soul-eating birds, giant cephalopod goddesses, gunslinger girls, and killer kudzu, just to name a few. Her work has appeared in Weird Tales, EscapePod, Steampunk Tales, Crossed Genres, Bull Spec, and various anthologies. Her longer works run the gamut from Edwardian urban fantasy to tales of the rock and roll world. She is also the founder of The Outer Alliance (http://www.outeralliance.org/), a group dedicated to queer advocacy in speculative fiction. She’s also an outspoken advocate for mental health rights, particularly pertaining to her son Liam, who has autism. She writes more on this subject at GlitterSquid (http://www.glittersquid.com/). She is a Took, a Slytherin, and likely a Tyrell, even if she is a bit jealous of the Greyjoy Kraken. She takes her whisky neat (and single malt), her wine dark and complex, and her coffee decaffeinated. When not venturing in imagined worlds, she can be found in North Carolina, where she lives with her family, two hounds, and an assortment of musical instruments. 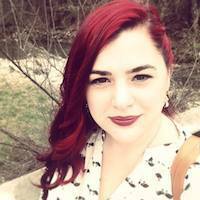 Natania holds a BA in English/Writing from Loyola University Maryland and an MA in English with a concentration in medieval literature from the University of North Carolina at Greensboro. During the day she works as a Marketing Director in clinical research. She’s also a mental health activist, especially regarding adolescent care. Inspired by her son Liam’s struggle through the school system as a child with high functioning autism and a variety of other challenges, she is an outspoken advocate. You can read more about her story at Medium. Rock & roll will never die, but if Kate Styx isn’t careful, it’s going to kill her. Kate spent her life living the rock & roll dream: successful albums, a high-profile romance, and adoring fans. Until reality hit. Her band, October Revival, isn’t exactly pulling the numbers it used to. And now her charismatic ex-boyfriend lead singer Tom has found religion, much to Kate’s chagrin. 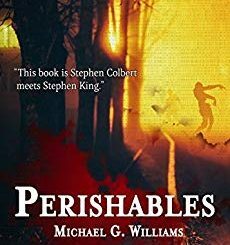 Tom’s evangelical conversion dredges up all kinds of buried ghosts from her past, and when a death in the family drags her into the tabloids, she finds more demons than dreams. Between music, family, and band, Kate has more secrets than she cares to face and more problems than power chords. October Revival crumbles around her while Kate struggles to keep herself together. Music saved her before, but will it be enough this time? 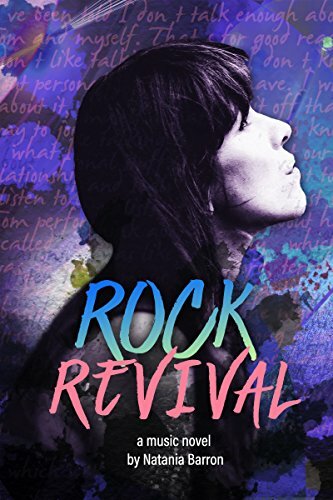 Rock Revival is about the love you take and the music you make; a tale of music, relationships, and religion… not necessarily in that order. I tell this story often, but here it goes again. I’ve always been a storyteller – I remember writing a nine paged “book” in second grade to a rather stunned teacher – but it wasn’t until the 5th grade when things became serious for me. Around that time, I started writing stories by putting myself in my favorite movies. That included, and was not limited to, Young Guns, The Stand, and The Outsiders. I carried around a little spiral notebook and scribbled away at recess. I eventually moved to an old IBM (you know the sort: black screen, green letters), and started my own take on the Billy the Kid mythos. My Dad came in one day and put in one of the floppy disks I was using to save my tome and was shocked to discover the terrible language therein. I got a scolding, but I wouldn’t take it sitting down. I wrote a long defense of my actions, explaining that “no one in the publishing industry would ever take me seriously if my cowboys didn’t swear.” Fun fact, I still apologized to him recently for the cuss words in Rock Revival. How would you describe your style or genre of writing to a potential fan? In speculative fiction I think most of what I do falls into the category of mythpunk. 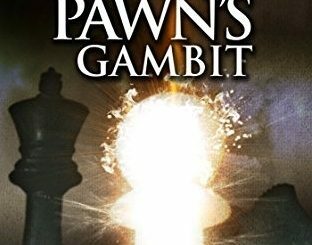 I love writing about monsters, gods, and other immortals, and that falls into almost everything I’m writing, whether it’s heroic fantasy like Wothwood, historical urban fantasy like Frost & Filigree, or my Godling Cycle. I’m currently finishing up the third installment in Frost & Filigree trilogy, and it’s called Time & Temper: Beasts of London. It has to do with black holes, capturing a goddess, and has a beautiful love story. Also, a very confused angel. My next work is probably going to be going back to Cinderglow. It’s a fantasy novel in a world going through a big Age of Exploration. So, think lots of ships (and a shipwreck). What’s different about this one is that the villain is really privilege. Essentially, the characters find out that their religion is based on the oppression of a people – torture, slavery, genocide – and the factions fall into place depending on what people decide to do with that information. It’s got a mad scientist, squid monks, a new race of beings called the hartesse, and a few star-crossed lovers. It’s multi-POV and is full of adventure, as well. I do love a good adventure story! Oh, gosh. Right now, I’m just in love with Naomi Novik’s Spinning Silver. I don’t wish I had written it, but it’s certainly the kind of book I’d love to write. I feel such a range of emotions reading it. The twists on myths just make me so happy, and her descriptions and characterizations are incredible. A book with three unique female protagonists! I just love it. Read. Whenever you’re stuck, just pick up a book. Any kind of book. I firmly believe that everything you need to know about writing is in the reading. Whenever I’ve struggled to write, it’s almost always because I’m not reading. Now, I have kids, so quiet time isn’t at a premium. So, I listen to audiobooks on my commute and whenever possible. Find Natania Barron on the Interwebz!